Could there be a bright future in store for solar planes? 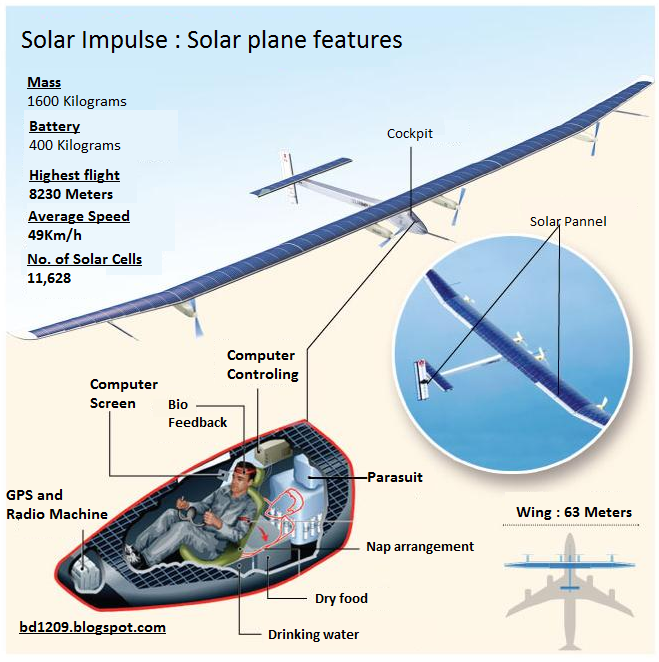 The Solar Impulse 2 will help find out! 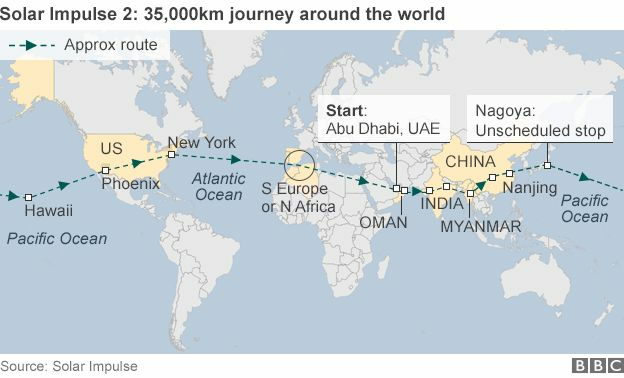 According to the BBC, the Solar Impulse 2 aircraft is currently making its second attempt to cross the Pacific Ocean, having launched from Japan at 6:03 GMT on Sunday evening. The flight to its next stop in Hawaii is expected to take 120 hours. Pilot Andre Borschberg is now "past the point of no return", and must weather the 5-day flight with no chance of turning back to safety. A previous attempt had found Borschberg making an emergency landing in Japan after a cold front developed. He and his team have been waiting nearly a month for the proper conditions to allow for transit to Hawaii. An attempt to take off was considered for last Tuesday, but also aborted due to weather conditions inherent to "rain season." Here's what's up with the Solar Impulse 2. Should Borschberg be successful, he will make aviation history for the longest-duration solo flight, as well as the longest distance traveled by a solar-powered aircraft. The flight to Hawaii will be the eighth leg of a world-circumnavigating journey. 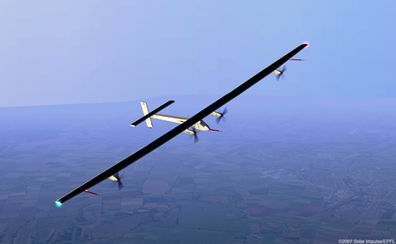 Quite the flight: the Solar Impulse uses the sun to see the world. 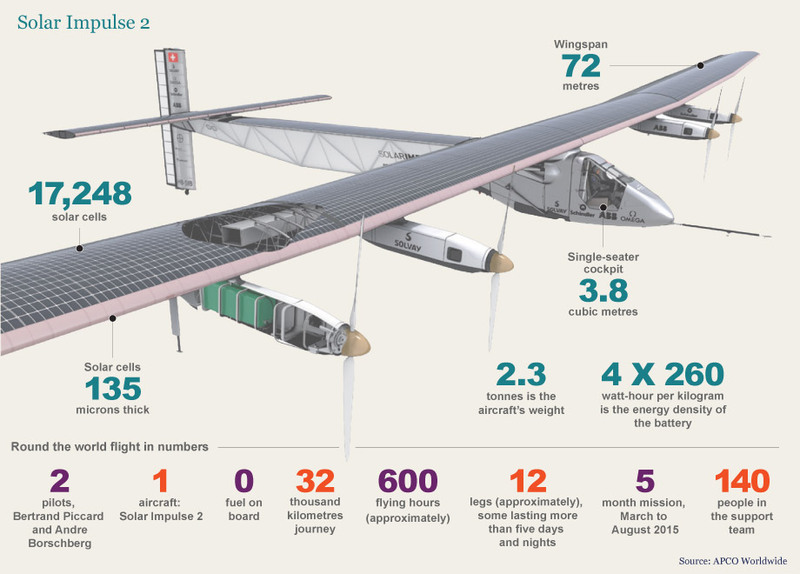 Borschberg, a Swiss pilot who is the co-founder of Solar Impulse, has been on his mission since March. The aircraft itself is an experimental one-seater that runs on 17,000 solar cells, which must successfully retain a charge lest Borschberg be forced to bail out. Should this occur, he has a dinghy and supplies ready to float rather than fly, but has well-prepared his body and mind to achieve this fascinating first in flight. Can't make the "nap arrangement" too comfortable...only 20-minute snoozes allowed. Borrschberg will use "meditation and yoga" to keep his mind alert during his trip, with only 20-minute catnaps allowed inside his telephone-booth-sized cockpit. Due to this exhaustive excursion, pilot Bertrand Piccard will take the sticks for the remaining flight from Hawaii to the U.S. mainland. The plane will then attempt to cross the US and finally the Atlantic, hopefully before hurricane season peaks in August. Should the journey be successful, solar power will gain even more exposure and hopefully, more support as a sustainable fuel source that can match oil on any level - even high above the earth. Here's to safe and sunny skies, gentlemen!